If you're heading back to college, or starting for the first time, on your list of things to get before you go back will be some form of computer. But that doesn't mean you have an easy decision since there's a whole range of options out there at a load of different prices. For your part, you need to consider what exactly you need from your device, as well as what you're going to be doing with it. Do you need mostly word processing and spreadsheets or are you going to require audio and image editing power? With that in mind, JOE has a look through a few of your options for computing in college to hopefully make things a little bit clearer for you. .
Toshiba have been doing some great work on getting cheap and reliable laptops out on the market, and at the moment, they've got some slim and lightweight models which are great to carry around with you and pretty much ideal for students. We tried out the C55 and while not being the lightest of the bunch, it had an i3 processor, which is enough to get it to start up and shut down quickly, and it has a nice big screen if you want to do anything with video and images. The screen is also bright and vibrant which is great for watching media in your down time. The model we tried out had a 17.3" screen, although you can also get a slightly smaller (and therefore more portable) 15.6". It runs on Windows 8 which is a little clunky without a touchscreen (although you can choose to have a touchscreen on the C Series for a little bit more), but once you get used to the small changes it's not a huge issue. 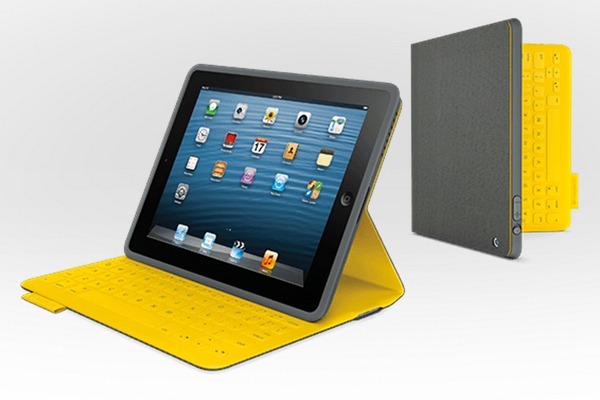 You can equip it with up to 1 TB GB HDD storage for plenty of space to keep your videos, photos and work. 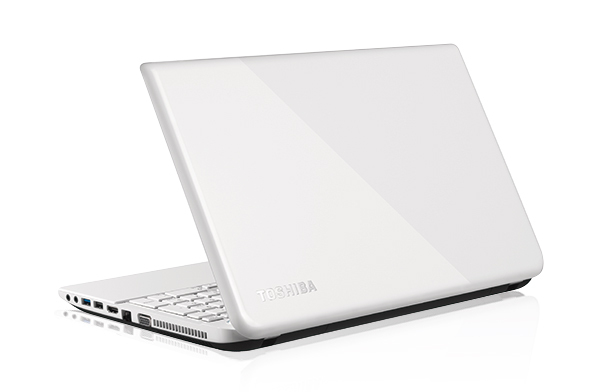 The prices on the Toshiba Satellite C Series start from €349, which is very friendly on the pocket indeed. If you're looking for a light option for ultimate portability, and you only need to do the odd bit of word processing and maybe a spreadsheet here and there, then maybe you might want to look at getting a tablet instead of a laptop. We tried out the Sony Xperia Z, which is incredibly light and very slim, so you don't need to worry about carrying it in your satchel bag with a fine hummus and carrot sticks for lunch, it slots in nicely without taking up much space at all. The screen is also really beautiful and sharp, and is great for looking at images or media. In terms of memory you have 16GB at your disposal, but it has an SD slot for expanding that. It's also packing a Snapdragon S4 quadcore processor, so it's pretty quick and responsive, and you can put a 3G sim card in too to keep connected on the go. However it should be noted that it runs on Android, so you will be going on to mobile sites a lot of the time by default, but you can mostly get to the full desktop version on a lot of websites. If you think you're going to need it, get yourself a bluetooth keyboard which can attach to the tablet, or even a case that would prop it up and make it more comfortable to type on. It's also waterproof (once you make sure all the ports are sealed) which is handy when you're pulling an all-nighter to get that essay in on time and you spill your drink all over your desk. 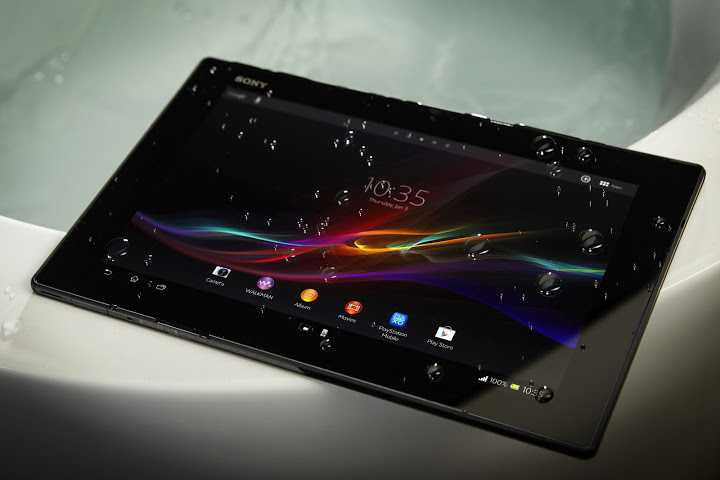 The Xperia Z starts from €529 on Sony's website for the 16GB model. If you already have an iPad and you know that you're only going to need to do some word processing and the odd bit of surfing on the internet, why not get a quality folio with a keyboard and make full use of the computing power in your tablet? It's a cost friendly solution, and is also great to carry around since it can slot right into your backpack. With the camera you can also record the lectures where your attention span might be lacking a bit. You know, the 9am lectures where you're still struggling from the night before. On a side note, do go to all your lectures, it's an easy way to get brownie points with the lecturer and helps you when it comes to them sitting down and marking your stuff. The Logitech FabricSkin folio case comes in a range of colours (we all want to look pretty slick when starting college) and has a built in keyboard. That there keyboard is also liquid proof (within reason) so when you're working away at six different things and getting jittery hands from drinking your ninth cup of coffee in the last hour, you don't have to worry about damaging it if your brew accidentally spills. It's available from Harvey Norman or check out the Logitech site to learn more about it, and the price should be around €149.99. The perfect lightweight solution no matter what you want to do with your computer. It's available in 11” and 13”, and while it doesn't sound much there is a significant size difference, the 13” is big enough for you to edit images and video, while the 11” is more compact, and more suited to whipping out and taking your notes down. 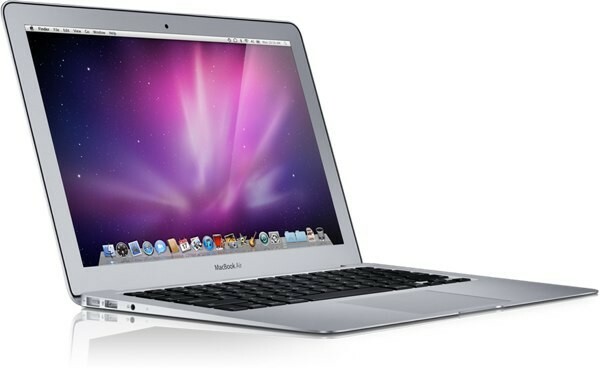 It's also lightening fast, as you would expect from Mac, with a 1.3GHz dual-core Intel Core i5 (Turbo Boost up to 2.6GHz) with 3MB shared L3 cache and 4GB of RAM. Prices start at €1049, which, while it is at the higher end of the price spectrum, represents great value for getting a machine you can be confident will last you for several years without hassle. It comes with 128GB of Flash memory or upgrade to 256GB, but if you ask us, you're better off buying an external hard drive if you think you're going to need more storage and carrying it around. 128GB should be fine unless you're storing loads of images or videos, and if that's your plan, then having an external place to keep them should the unthinkable happen is safer and better value. If you're concerned about making the switch over to Mac from Windows, not to worry, it's much easier than it used to be (it's pretty much a non-issue at this stage), and the lads at Compu b will even do free data transfer from your old machine to your new one, so you don't have to worry about that part of it. There are Apple versions of Word and Powerpoint etc. (Pages, Numbers and Keynote) in the App Store too, or you can get the Office package if you like. You can get the stock machines, or tweak settings with a built to order number, which they can also sort out. The lads at Compu b have the entire Mac range in store, as well as a pile of accessories for absolutely everything you could want. They're running a promotion for a €70 voucher when you get a Mac too, so you can get a case to keep your lovely machine looking pretty, and they also offer student discount. Applecare, while it might seem pricey at first for €249, is worth every penny to make sure you don't have to worry about repairs at any stage down the line on your investment.